When I first saw this sweet cover, I thought that Ava and Pip would be an early-ish chapter book, along the lines of Sara Pennypacker’s Clementine series or Megan McDonald’s Judy Moody books. 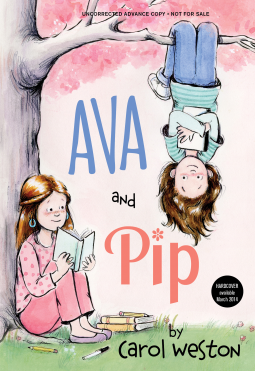 This adorable cover deceives, however, as Ava and Pip is a solid middle grade novel that I think many of my 4th-6th grade students will love. While Judy and Clementine start off their series in third grade, Ava is a 5th grader, and her sister, Pip, a 7th grader. Ava and Pip‘s word count is twice that of Clementine and Judy, and the sentence structure is more suited to an upper elementary grade reader. The paperback version is coming out in March of 2015, so I’ll be interested to see what they do with the cover. Ava is lovable, flawed, smart, and introspective. Her attempts to right a wrong are both believable and sympathetic, the family dynamics are charming and realistic, and the ending is satisfying. I look forward to recommending this one in my library this fall. Many thanks to the publisher who provided this e-galley via Netgalley. Publisher’s description: AVA AND PIP is the diary of a good kid who does a bad thing. Ava is an outgoing 10-year-old with a painfully shy 12-year-old sister. Ava gets mad at Pip and feels bad for Pip all at the same time. Mom and Dad are constantly fretting about Pip, and Ava sometimes feels invisible in her own family. When Pip’s 13th birthday party gets ruined because a new girl named Bea throws a boy-girl party on the same day, Ava, outraged, enters a writing contest with a thinly-veiled story called “Sting of the Queen Bee.” Bea finds out and is not pleased. She didn’t even know there were two parties on the same date. Bea confronts Ava, and the two reach a truce and decide to team up to try to help Pip come out of her shell. They devise five Pip Pointers. At first Pip resists, but little by little, she learns to speak up—and Ava does too. In fact, by helping Pip find her voice, Ava ultimately finds her own. She tells her parents that she would like some attention too, and she tells her diary that she has found her goal: She wants to be a writer someday. * Voice –The irony is that, throughout the story, Ava is trying to figure out what “voice” is in writing, yet her own voice oozes with sparkle and personality. * Word Play–Ava’s entire family are self-proclaimed “word nerds.” They exchange puns, rhymes, and, most notably, palindromes (words and phrases that read the same both forward and backward, like A-V-A- and P-I-P, or “Was it a car or a cat I saw?” ) . * Sibling Rivalry–Perhaps this category should be “sibling envy,” but that’s not quite accurate, either. Ava is envious of the attention that her parents give to her older, painfully shy sister, Pip, yet I don’t ever get the sense that Ava would want to be like Pip. All siblings feel this way at times, and the book will make a nice springboard for those discussions. * Writing–Ava is an aspiring writer, and there’s a lot in these pages about finding one’s voice, writer’s block, etc. that could be culled for writers’ workshop activities. Visit author Carol Weston’s website here to learn more about her. 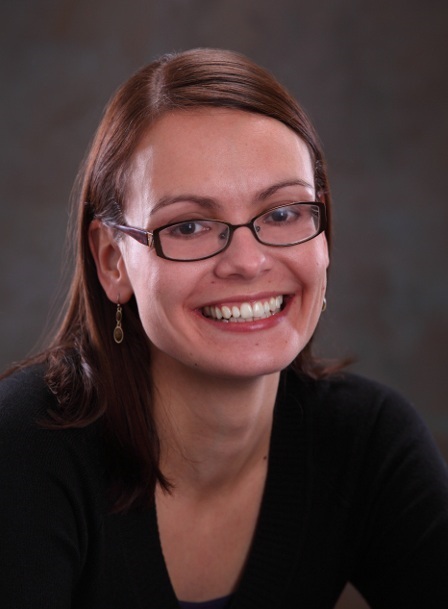 Students will be delighted to see how many autobiographical tidbits they can find that connect the author’s life and the book. Check out the excellent educator’s guide by clicking here. The first time I heard Charlotte’s Web was while sitting on the carpet of my 4th grade classroom in 1975 when Mrs. Smith read the book aloud to us. I was captivated. At the time, I had no idea that the book was already more than 20 years old. Fleabrain Loves Franny opens in the early 1950s, just after E.B. White published Charlotte’s Web, and main character Franny is just as smitten with Charlotte as I was. We meet Franny not long after she’s recovered from polio and is grappling with life in a wheelchair. She’s still considered contagious by her friends and their parents, and she wishes for a friend like Charlotte. Fleabrain is no Charlotte, but his imperfect love for Franny sets her off on a journey–both fantastical and internal–that provides both a needed escape from reality as well as a solid plan for her new normal. Franny is a sympathetic character who doesn’t evoke pity, but respect. One of my favorite lines is when Franny’s former gang of friends parades by her house yet again, waving and saying how much they miss her. She thinks: “Which Franny do you miss? Because, actually, I’ve been here all along. In the flesh.” She doesn’t want or need to be treated with kid gloves, and the resolved friendships in the end are both satisfying and realistic. Teachers and students often ask if we have any new historical fiction titles on the shelves, and I’m looking forward to recommending this one in the fall. * is a fan of E.B. White’s Charlotte’s Web and Katie Speck’s Maybelle series. * The science behind vaccines –As I looked through our library’s online catalog, I realized that we have quite a few non-fiction titles about epidemics and the role/effects of disease throughout history. Jonas Salk, the man who discovered the polio vaccine, is mentioned several times in the book. * Points of View–While most of the story is told from Franny’s point of view, we do see snippets of Fleabrain’s point of view, as well. Especially in the end, when Fleabrain can’t communicate with Franny, students can discuss misunderstanding, intentions, and forgiveness all within the context of friendship. For schools with Internet filters that block YouTube, click here for the trailer on School Tube. Visit author Joanne Rocklin’s website here and my interview with her here in 2012. I was instantly drawn in by 13-year-old Theo (Theodora). She loses her beloved grandfather, Jack, in the very first chapter, leaving her alone with her dysfunctional, almost-always absent mother and not enough money to eat much more than Theo can grow in her backyard city garden. Yet Theo never feels sorry for herself, and neither does the reader. I admired her pluck and self-sufficiency, and gladly went along for the ride as Theo and her new (first ever?) friend, Bodhi, launch themselves into an adventure/mystery that kept me turning pages right up until the satisfying end. I’ll definitely be recommending this to my students in the fall. Only two people know about the masterpiece hidden in the Tenpenny home—and one of them is dead. With the help of some unusual new friends, Theo’s search for answers takes her all over Manhattan and introduces her to a side of the city—and her grandfather—that she never knew. To solve the mystery, she’ll have to abandon her hard-won self-reliance and build a community, one serendipitous friendship at a time. * has seen the movie The Monuments Men (PG13). Click link to view the trailer for those who haven’t seen the movie–this will provide important background info for one section of the book). * has a family member who suffers from mental illness. Theo’s mother is almost always in her bedroom working on a math equation for her thesis, but Theo is definitely the caretaker in the house. * The Role of Art in Culture –The story behind the missing painting is an interesting one. The topic should spark some interesting discussions on the purpose of art, to whom it really belongs, and it’s value–both monetary and intrinsic. * The Renaissance–It’s interesting to learn snippets of what some of this period’s famous artists were like as people. * Research–One of my favorite characters is the super cool librarian 😉 , a young guy who helps Theo with her research, both in print and online. It’s the perfect example of going from a general topic to specifics, reliability of sources, cross-checking sources, etc. * Museum Field Trip Prep–The next time I walk into an art museum, I’ll definitely take a closer look at the exhibits, thanks to this book. 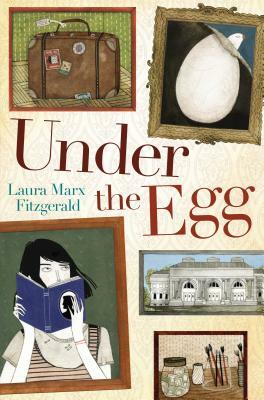 Under the Egg would serve as a nice primer before you and your students head out on a museum field trip. Most major museums have virtual tours, like the Met, one of the NYC museums featured in the book. Visit author Laura Marx Fitzgerald’s website here, excellent links to resources about World War II, Art, and more here, and a discussion guide here. For ages 9-12, but I think slightly older readers will also enjoy the layered art history aspects of the book. Today Biblio Links welcomes back author Anna Staniszewski! 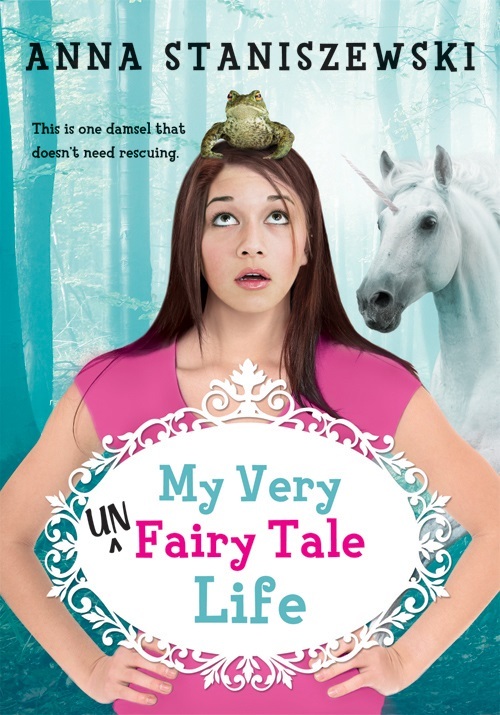 Anna’s third book in her My Very Unfairy Tale Life series was released earlier this month. 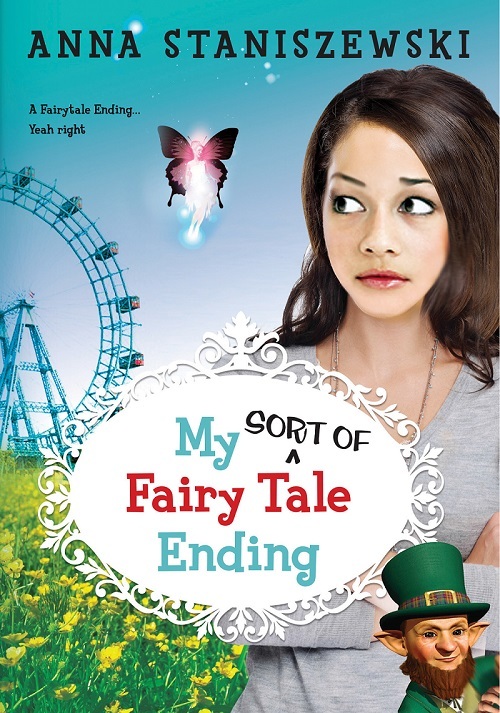 Just like the first two books, I adored Jenny in My Sort of Fairy Tale Ending. She’s flawed, magical, earnest, and sincere. You think a trip to Fairy Land sounds fun? Clearly you’ve never been turned into a mouse by an Evil Queen. This. Is. It. My most important mission as a magical adventurer ever. And probably my last. ‘Cause I’m pretty sure if I defy the council and travel to Fairy Land to rescue my parents, I’m so fired. They say it’s too dangerous. That the Queen Fairy is crazy, and she’s hoarding all the magic to do unspeakable things (like steal the leprechauns’ gold and make all of her subjects attend mandatory parades). But none of that matters. I finally have a chance at happily ever after with my family. And crazy fairy or no crazy fairy, I’ll do whatever it takes to bring them home. In my library, I get fairy book requests daily from little girls (K-2). But older readers like fairies, too, and I have a hard time keeping this series on the shelves. I asked Anna how her book fits into the classroom. Biblio Links: A student walks into my library and I think, “That kid needs a copy of MY VERY (SORT OF) FAIRY TALE ENDING.” Who is this kid? Anna Staniszewski: That kid is someone who likes to laugh and who enjoys adventures that turn traditional fairy tales upside-down. And if that kid is a fan of puns, even better! Biblio Links: If we were to peek into a classroom where a teacher is using your book in a lesson or with a small group, what might we see? Anna Staniszewski: We’d see a lively discussion about fractured fairy tales–why we like retelling fairy tales, and why they’re so fun to “break.” I suspect there might also be a round of Fairy Tale Mad Libs (which is a big hit during my school visits). Biblio Links: What writing advice do you have for kids? Anna Staniszewski:Never stop writing! I’ve loved writing since I was young, but for a while I let other things in life distract me from it. If you enjoy writing then make sure to always make it a top priority. 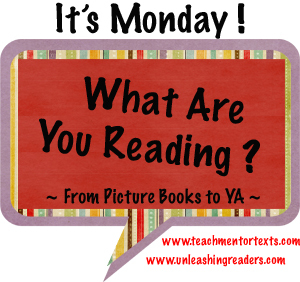 Biblio Links: Where can teachers, librarians and students learn more about you and your book? Anna Staniszewski: They can visit my website (www.annastan.com) where I have information about my books, upcoming events, school visits, etc. Thanks for stopping by, Anna! Born in Poland and raised in the United States, Anna Staniszewski grew up loving stories in both Polish and English. She was named the 2006-2007 Writer-in-Residence at the Boston Public Library and a winner of the 2009 PEN New England Susan P. Bloom Discovery Award. Currently, Anna lives outside of Boston with her husband and their black Labrador, Emma. When she’s not writing, Anna spends her time teaching, reading, and challenging unicorns to games of hopscotch. 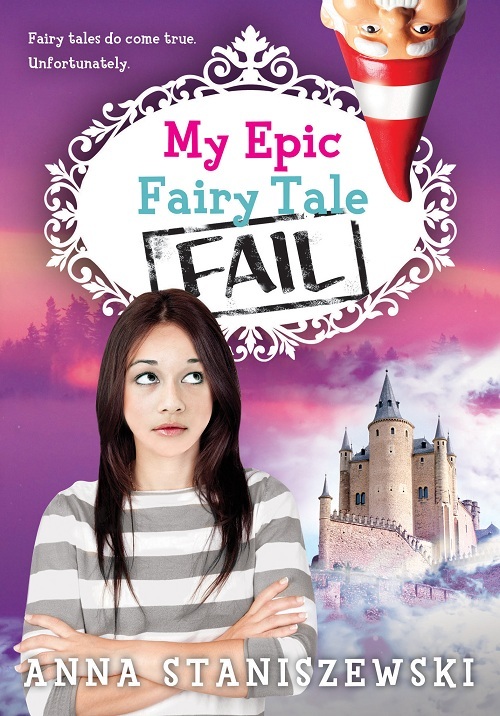 She is the author ofMy Very UnFairy Tale Life and its sequels, My Epic Fairy Tale Fail and My Sort of Fairy Tale Ending, all published by Sourcebooks Jabberwocky. Look for the first book in Anna’s next tween series, The Dirt Diary, in January 2014, and visit her at www.annastan.com. …and the first two books in the series! Thanks to Sheila at Book Journeys for starting this meme, and Jen (Teach Mentor Texts) and Kellee (Unleashing Readers) for turning it into a kid-lit meme! Click here for more Monday reviews. 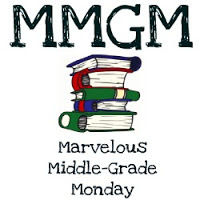 Visit Shannon Messenger’s website for more marvelous middle grade titles! 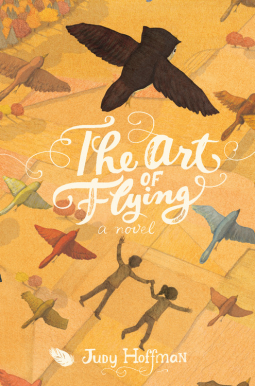 I was charmed by this sweet adventure story about a girl named Fortuna who finds a friend in Martin, a shy boy who has been transformed from bird to human. The fantasy elements–witchcraft, talking animals, and flying children–all felt believable. Publisher’s description: Fortuna Dalliance is practical. Rational. Clever. But when she finds herself at the doorstep of an adventure, she discovers something that has been inside her all along: the courage to step through. The old Baldwin sisters are in trouble, and they’ve asked Fortuna to help them out of a fix. The sisters have accidentally turned a swallow into a boy, and he refuses to be turned back. But if Martin doesn’t return to his original form within five days, he’ll remain a boy forever . . . and the Baldwin sisters will have a lot to answer for. Fortuna’s not sure she believes in magic, and once she’s gotten to know Martin, she’s not sure she wants him to be changed back. As Fortuna figures out what it truly means to be a friend, she must decide whose side she’s on-before it’s too late. Judy Hoffman’s debut, with delightful illustrations by Stephanie Graegin, weaves an enchanting tale of loyalty, freedom, and feathers. * anyone who has ever dreamed of flying. * Points of view–While this story is told from Fortuna’s point of view, her challenge is to realize that what she wants isn’t necessarily best for her new friend, Martin. She has to make some tough choices for the benefit of her friend, which would make a good discussion starter on empathy and what it means to be a good friend. * Anti-Bullying Strategies--The antagonist in the story is a bully–both in his human and owl form. The Baldwin sisters get into trouble because they change Martin and his brother from swallows into boys when they are being bullied by the owl. Use this opportunity to discuss the role of bystanders in bullying and what kids can do when they witness another person being bullied. *Types of Conflict–There’re a lot examples to choose from in this story–character vs. character, self, and…magic. I was charmed by Rose right from the start. She’s likable and believable–someone you’d want as a friend. 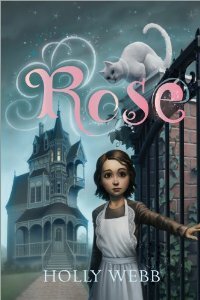 Publisher’s description: Rose isn’t like the other orphans at St Bridget’s Home for Abandoned Girls. Instead of dreaming of getting adopted by loving, wealthy parents, Rose wants to get a job and be independent. She doesn’t need anyone but herself. She finds her escape working as a maid for Mr. Fountain, an alchemist. Unable to ignore the magic that flows throughout the grand residence, Rose realizes that just maybe; she might have a little bit of magic in her too. This new series featuring magicians, witches, talking cats, mist-monsters, and friendships will have young readers in a trance! * gobbles up historical fiction or stories set back in time. * Points of view–While this story is from Rose’s point of view, we soon meet Freddie, the alchemist’s haughty apprentice. Freddie has no redeeming qualities at the start, but will grow on you as you (and Rose) get to know him better. Ask students to retell (in writing or orally) Rose’s first meeting with Freddie from Freddie’s point of view. * Chemistry--Although the potions and magic mixtures are straight fiction, it would be fun to pair this title with a science unit on mixtures, solutions, and chemical properties. *Genre blending–More and more books today are difficult to fit into one genre, and this is one of them. Fantasy? Check. Historical fiction? Yup. Is it more one than the other? Let you students decide. This story grew on me with each passing chapter. Saul is a likable, flawed kid who ultimately wants to do the right thing–send Agatha back to her life in 1813. Agatha is gutsy and kind and an inspiration to Saul and his scaredy-cat friends. Saul is on his way to the corner shop on a seemingly ordinary day, when a girl appears suddenly in the middle of the road. She does not understand traffic or the things she sees in shops, and she’s wearing a long dress with ruffled sleeves. Her name is Agatha Black. Agatha Black is from 1813, and Saul needs to find a way to get her back to her time. With help from his buddies Will and Robbie, he tries to figure out how to make time travel happen. This face-paced, time-traveling adventure from Janis Mackay (author of the Magnus Fin books) is full of funny misunderstandings and gripping action. * appreciates a strong female lead. Although this story is from Saul’s point of view, we get a good take on Agatha, who does things that Saul wouldn’t dream of doing, like spending the night alone in the abandoned lot that houses Saul’s and his friends’ clubhouse–the site that used to belong to Agatha’s grandfather back in the day. * Essay writing–Saul enters an essay-writing contest about life in his hometown back in the “olden days.” He gets his material first-hand from Agatha, of course, but the final interpretation is all his. It might be fun to have students interview someone from an older generation–a grandparent or another senior citizen–and then compose an essay that compares and contrasts life now with life in the past. * Anti-Bullying--There’s an obvious bully in this story–a boy who torments Saul and every other kid who dare cross into his territory. But Saul and his friends are bystanders who completely shut out another classmate–a girl who, as it turns out, has a future family tie to Agatha. Not only does Saul gain the courage to stand up to the bully who has threatened him since always, but he also learns to reach out to a loner girl in his class–someone who has always existed on the fringes, of society, both socially and economically. Want Biblio Links in your inbox?